This was never going to be the season where the Stouffville Spirit made a deep run. But it has provided a good first step towards becoming a top-notch team in the future. 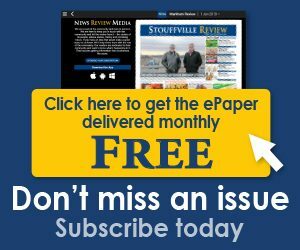 As Stouffville’s season winds down, it has a chance to look at how the youthful squad has performed this year and how it sets up for the next one. “The team’s in a rebuild, or whatever you want to call it, and we’re really young,” said Spirit general manager Ken Burrows. “Every player is eligible to come back next year, which we haven’t had in a few years. We have five rookie defencemen playing regularly every night, we have only one veteran defenceman, and two rookie goalies, so you’re going to have your issues, but that’s what you have to go through to have a good group of kids coming back. While the young players have shown flashes of brilliance this season, consistency has been tough to attain for the Spirit. “That’s what happens with the rookies,” Burrows said. “They play well for two games, and then they don’t for four. They’ve played a lot better the last month or so. We’ve just got to keep improving, and getting older, and that will happen next year. With rookies on every single line this year, there’s no shortage of opportunities to be had. 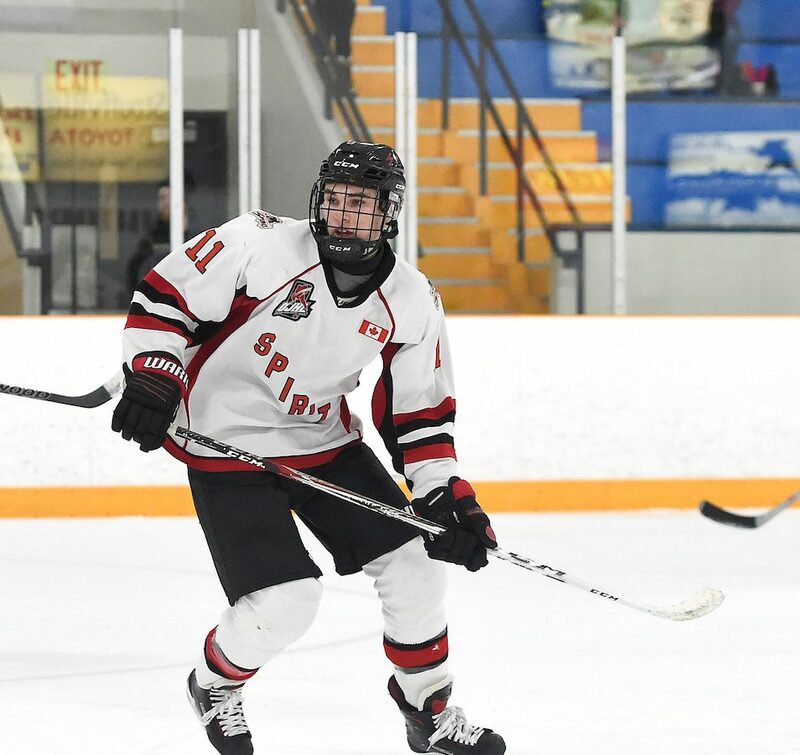 An advantage for Stouffville’s young players, versus ones on much older teams, is that they’re getting into every situation this year, allowing them to truly take on the high-stakes scenarios that come with being an Ontario Junior Hockey League player. “Well, it’s the only way they’ll learn and improve, if they play a lot,” Burrows said. “We’ve got first-year players playing against third and fourth-year guys, so what they’re learning now is something they can’t get at a hockey school. If they can finish off strong, as far as their play, it’ll be like a slingshot next year, and they’ll notice a big improvement. While all of the rookies have had their moments, Burrows pointed out a few that have exceeded expectations. “Obviously, I’ve been really impressed with (goalie Damon) Beaver over the last half of the year,” Burrows said. “He’s shown me that he can play a big game and make the big save at the right time. Probably the thing for him still is to get in better shape, because I think he can be a dominant goalie in our league. The biggest jump by a Stouffville player would likely be Barrie native Charlie Jeans, who burst onto the scene and now plays big minutes for the Spirit. “If you take a look at a kid that nobody probably knew about and didn’t look as smooth as the rest of them, it’s Charlie Jeans,” Burrows said. “He’s really improved and he plays a hard game. He’s difficult to play against and he works hard. You can just tell now that he’s starting to get some confidence in his offensive game. 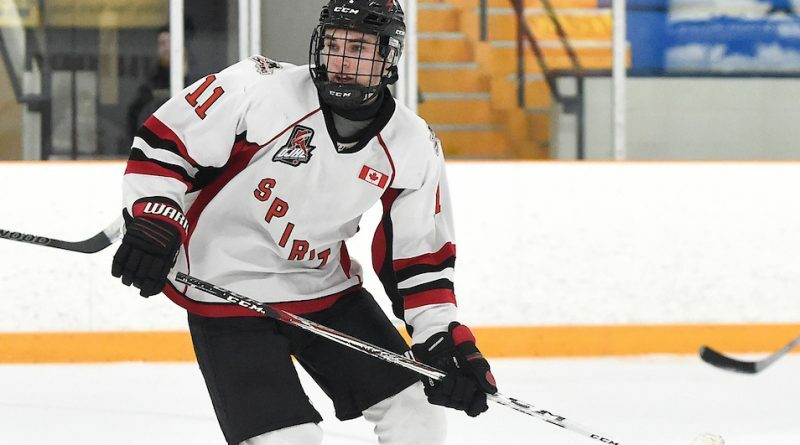 The Spirit have looked much better in 2019, reducing their goals against and limiting their penalty minutes as they adjust to the OJHL game. Burrows believes that, if this team can continue to grow in the offseason, they will be well on their way as a much more veteran group in 2019-20. “Overall, the number one thing our team has to be is in better shape,” Burrows said. “That doesn’t mean we’re out of shape, we’re just not in Junior A shape and we’re getting pushed off of pucks. If those 15 kids go out this summer and come back with 10 pounds on, it’ll change the team. Andy Corneau photo – Stouffville’s Charlie Jeans is one of a number of rookies this year making a significant impact for the Spirit.